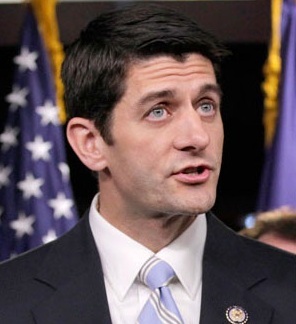 In the above video, former U.S. Vice Presidential Candidate, Paul Ryan (R-WI) and Senator Marco Rubio (R-FL) alludes to the 2016 Presidential Race. Mr. Ryan's body language exemplifies several "Tongue-in-Cheek" displays at 0:19 (subtle), 0:20 - 0:21 (overt) and again at 0:23 (difficult to see). The Tongue-in-Cheek nonverbal in this body language context indicates a self-righteousness or smug emotional tone. It is a body language seen when a person, in a specific context, views them self as an Alpha. And although not the case here, depending on the other nonverbals and parlanguage with which it is clustered - it can also be indicative of Telling a lie, "I just won the game" or "I gotcha". In these settings it can be considered a form of "duping delight". Depending on the other nonverbals with which it is clustered, the tongue-in-cheek can have other meanings, such as part of a sexual attraction display cluster or occasionally as a pacifying anxiety indicator. Can you tell the difference? Are you sure?